Convert Construction -- we are a building contractor in London, UK, specialising in tailor made design and residential build execution. We are the number one stop for all your building project needs - from planning to handover. 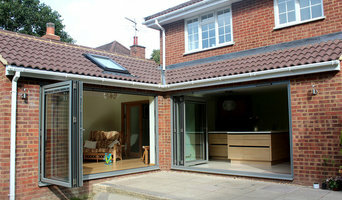 We are a British construction company with over 30 years experience in both commercial and residential building work. As a one-stop-shop, we provide a range of quality building services and solutions to developers, private clients, established landlords and reputable letting agents. We are proud to say that most of our work is through client recommendation, with several commendations from the British Networking Institute (BNI). We have many testimonials and references from clients about their positive experiences working with us. Our core staff encompasses a dozen highly skilled carpenters, kitchen and bathroom fitters, plumbers, electrical and heating engineers, and decorators. Millony covers all aspects of interior painting & decorating work including: - plastering & wall boarding - wallpapering - wooden floor sanding & varnishing Big or small we’re sure your renovation is completed: - on time - on budget and to the highest standard. Imagine a world where you could approach a unique team of experts to transform your house into a dream home. At Thompson McCabe, we have spent the last ten years perfecting exactly that. With over 100 years of combined experience we cater for every need when it comes to property and take all the load off our client's hands, leaving them to enjoy the journey... whatever the ultimate goal may be! Combit Construction is a combination of quality work and reliability. We have been providing professional building and renovation services since 2006. Over the years, we have worked hard to gain the confidence and trust of our clients. The number of successful projects to our name has grown significantly, aided by word-of-mouth recommendations from satisfied clients. A design and build company does pretty much what it says on the tin – designs and builds your home; helping you design your own house from scratch, pick out the small details and actually bring your dream home to life. They will take on the responsibility of planning the project, drawing up the designs, costing, sourcing the building materials and supplies, building the structure, installing any permanent features and possibly advising on the interior design of your home; all while consulting you every step of the way. 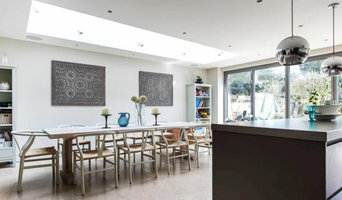 A design and build company in Ealing, Greater London will usually employ in-house architects to handle all of the technical design aspects of your renovation or build, whether that’s to design a house or just a kitchen, and will also have main contractors or project managers that will oversee the construction work. The project managers will either work with external building contractors or construction companies, or the design and build company may employ their own builders to carry out the construction work. Either way, all the work is managed by one company and so this means communication is easier and the work is more streamlined. You’ll probably have just one design and build contract, making responsibility simpler and clearer, and also reducing costs for you. However, you should always check this design and build contract closely to see exactly what the firm is agreeing to take responsibility for, so that you don’t get left in the cold at any point. 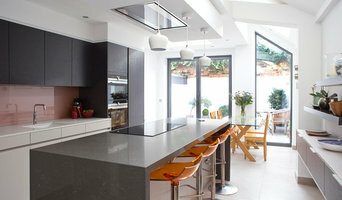 You don’t have to build your own home to hire an Ealing, Greater London design and build firm. If you are renovating one or a few rooms of a house, a design and build company in Ealing, Greater London can still help you – they can design a kitchen, bathroom, bedroom or living room and then complete all of the renovation work for you. 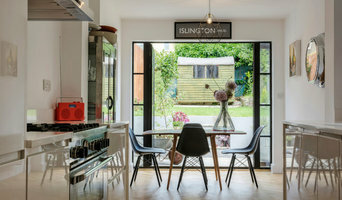 This could be a really good option if you are selling your home and want to increase its value quickly – hire a design and build firm in Ealing, Greater London to redesign and renovate a few rooms of your house without the hassle of dealing with various professionals or the time-consuming effort of doing it yourself. If all of this sounds ideal, then start searching for design and build procurement companies in Ealing, Greater London that can design a house, or room, for you and discuss design and build contracts with you. If you want to look for more specialised contractors, designers, architects or builders to help you renovate or build your own home, then you can still find them on Houzz. Here are some related professionals and vendors to complement the work of design & build: Interior Designers, Landscape Architects & Garden Designers, Architects & Building Designers, Photographers. How long have you been an established design and build company in Ealing, Greater London? Find a design and build company on Houzz. 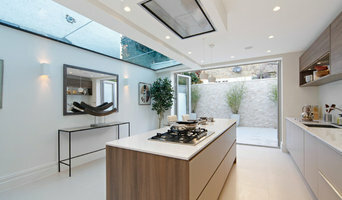 Narrow your search in the Professionals section of the website to Ealing, Greater London design and build contractors. You could also look through Ealing, Greater London photos to find a project you like, then contact the design and build company in Ealing, Greater London that created it.